Halloween is full of so much sugar (like crazy ridiculous) and so many activities (just as ridiculous). Is it just me or are Halloween parties off the chart? My love for Halloween grew when I had kids, but I have to say I did just enjoy celebrating Halloween... on Halloween. Basically, I have so many Halloween activities I needed something HEALTHY to take. So here comes some energy balls made to look like ghosts. Okay, before I get into telling you why they are healthy., let me just say... they taste like cookie dough. I don't know how or why, but they are so yummy, totally rich and creamy. Why are these healthy? First they are full of cashews who tote a list of benefits including brain function, improving digestion and heart health. Cashews are pretty much blissful. Coconut provides flavor, but is also full of fat to balance all the crazy sugar that is being consumed. The secret star of the show is the chia seeds which are full of protein and help keep the pipes moving (wink wink). Put the cashews in a food processor. Blend for 3-5 minutes or until the cashews are completely broken down into what almost looks like cashew butter. Take out the blade and use a spatula to scrape the cashews off the sides. Return the blade. Add the maple syrup, rolled oats, salt, and vanilla. Blend again until well combined, should take almost 3 full minutes. Add in the chia seeds, shredded coconut, and chocolate chips. Pulse until well combined. How to make into ghosts: Roll into a ball then flatten into more of a tube. flatten one end, but leave the other rounded. Stick the tops of the chocolate chips into the ball to form the face. Then sprinkle with shredded coconut. Here are a few of my favorite Instagram posts lately! All these people are worth a follow! I promise this is it! Have you thought about maybe not handing out candy? I was able to find all kinds of fun goodies to give away instead of candy! 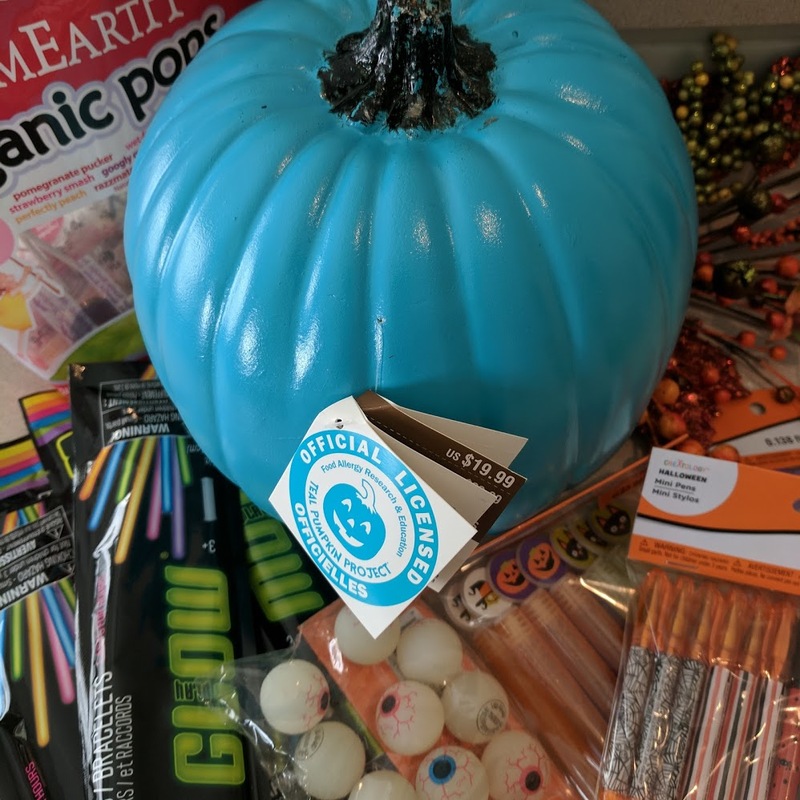 Since I am not handing out common allergy foods on Halloween (hello peanuts in snickers) I get to participate in the Teal Pumpkin Project! They are raising awareness of food allergies and promoting inclusion of all trick-or-treaters throughout the Halloween season. Help out a mom who just wants to take her kid trick-or-treating like everyone else! Let's make a very old Halloween tradition even better!